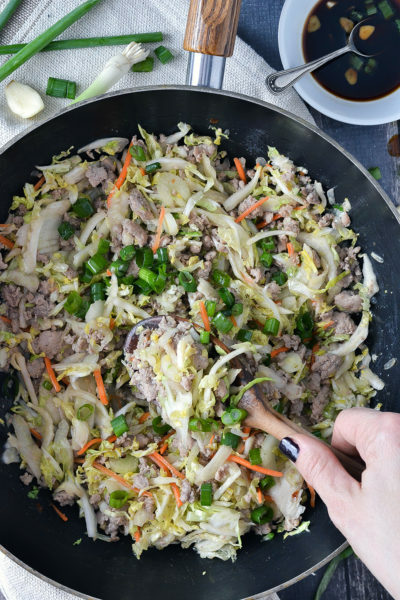 Everything you love about egg rolls tossed in this delicious, paleo-friendly recipe for Pork Egg Roll in a Bowl loaded with ground pork and shredded cabbage, tossed in a delicious sauce. Who doesn’t love egg rolls? Mr. Mother Thyme LOVES them! My favorite part about egg rolls is not the crispy outside but all the yumminess inside. 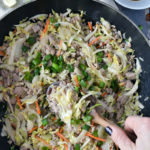 This recipe for Pork Egg Roll in a Bowl has all that yumminess I love about egg rolls tossed together into one tasty dish! I love to make this in my beloved wok that I have owned forever and is still a workhorse. I got my wok at Kmart back in 1993 when I was 18. 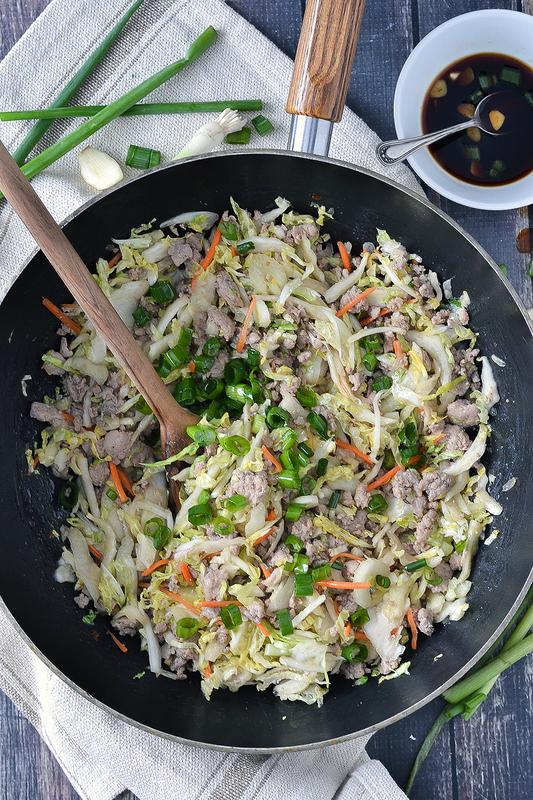 It was one of my first kitchen items I bought and it’s been with me every since making everything from stir frys, my One Pot Beef and Cabbage Stir Fry to this recipe for Pork Egg Roll in a Bowl. Takeout night is a favorite in the Mother Thyme household. My kids love lo mein while Mr. Mother Thyme and I have fun creating tasty stir frys. 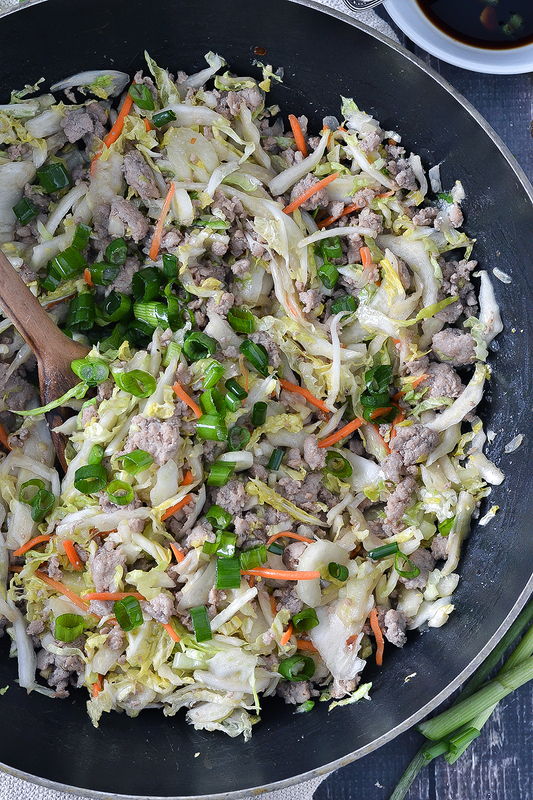 This Pork Egg Roll in a Bowl is another favorite as well. 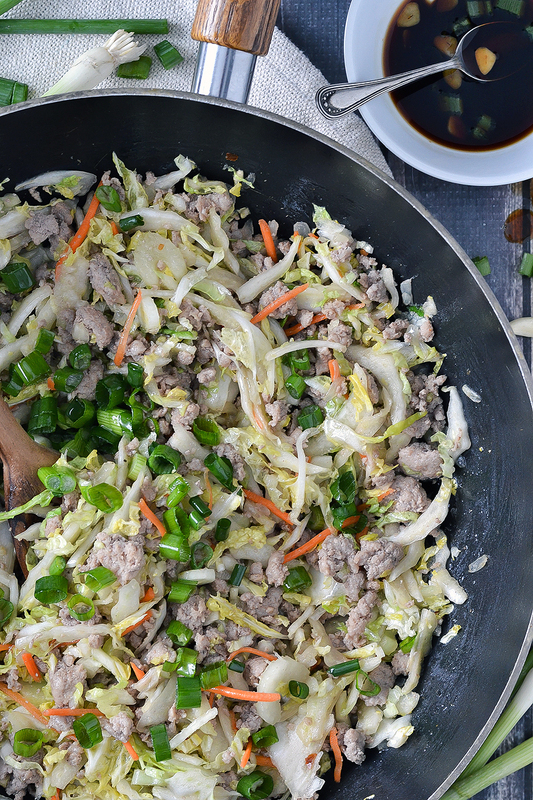 It’s loaded with ground pork and shredded cabbage, tossed in a tasty sauce. This paleo-friendly Pork Egg Roll in a Bowl is super tasty! 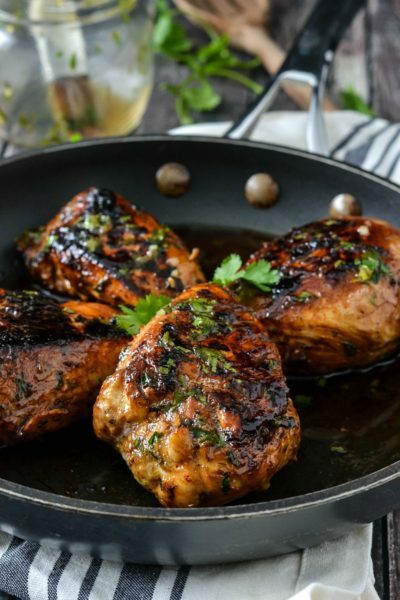 Whether you follow a paleo diet or not you still have to try this! 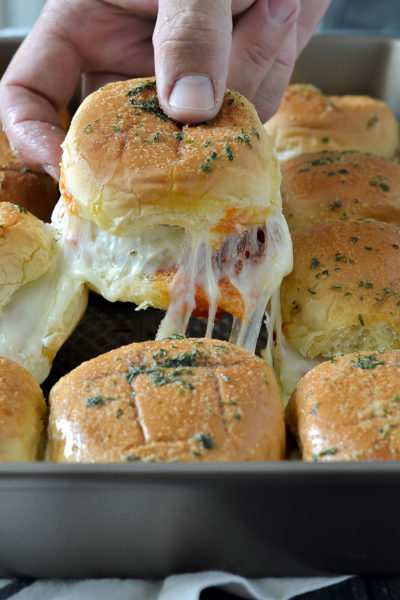 It’s super easy to make and is loaded with a ton of flavor in every bite. 12 ounce bag of Asian slaw or bagged cabbage and carrot coleslaw mix. I get my Asian Slaw at Wegman’s and it’s a mix of napa cabbage, carrots and celery. coconut aminos – my favorite substitute for soy sauce. I use Trader Joes, Thrive Market and Coconut Secret. Chinese Five Spice Powder – my secret ingredient in this recipe which really enhances the flavor! Don’t skip this! I use the Asian Gourmet brand. You could also shred your own cabbage if you prefer with mostly shredded cabbage then add in a little shredded carrot and a rib of chopped celery. I find it easier just to grab a bag already shredded at the grocery store and it saves a little prep time in the kitchen too! 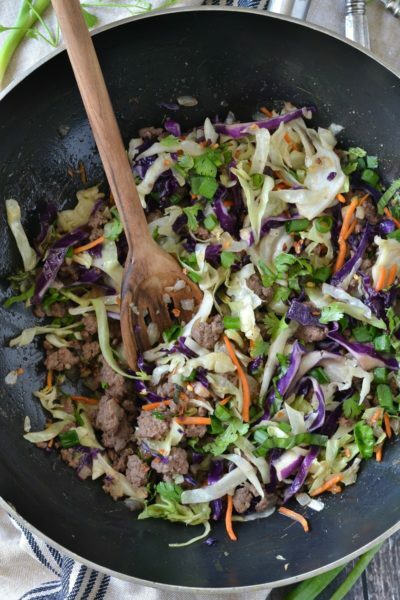 If you can’t find an Asian Slaw mix like I can at Wegman’s and don’t want to shred your own you can use a bag of coleslaw mix with shredded napa cabbage and carrots and then just chop up a rib of celery. 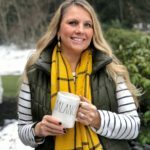 I’m certain you will love this as much as I do! This also makes for a yummy lunch too. 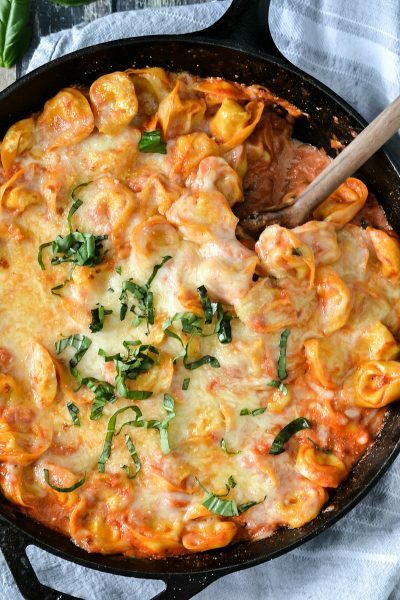 You can even make it ahead of time and then just reheat it when you’re ready to eat! 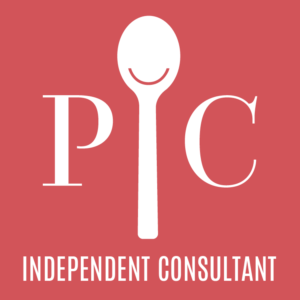 If you try this or any of my recipes I’d love to hear what you think! Please leave a comment or post of picture of it on Instagram and tag @motherthyme! I’d love to see what you’re cooking! In a small bowl mix together coconut aminos, sesame oil, ginger and garlic until blended and set aside. Add onions and cook, stirring occasionally until slightly tender, about 4-5 minutes. Add ground pork and season with salt, Chinese Five Spice Powder and a pinch of black pepper or red pepper flakes and cook stirring occasionally until cooked thoroughly, about 7-8 minutes. Drain any excess liquid if needed. 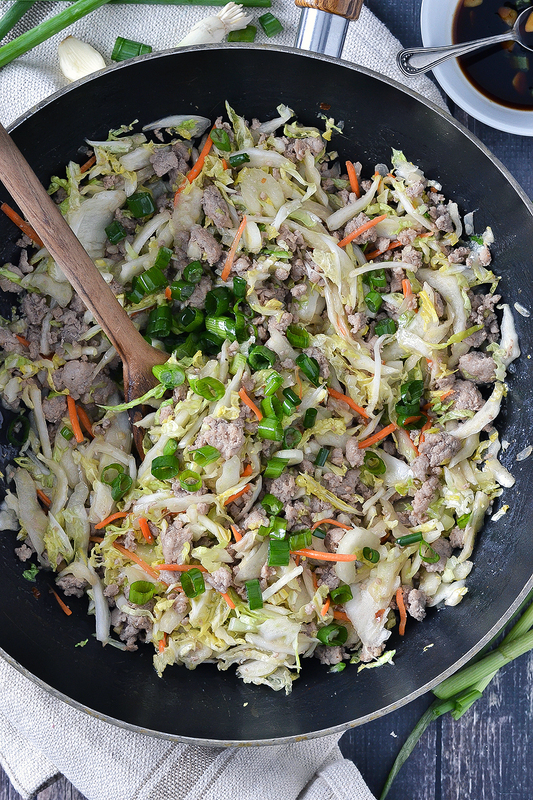 Once pork is cooked stir in coleslaw mix and sauce and cook, stirring occasionally until cabbage is cooked to desired consistency. If you like it crunchy cook for about 4-5 minutes, longer if you like it softer. 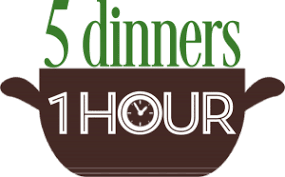 No longer than 6-7 minutes. Season with pinch of salt to taste. Stir in chopped green onion and serve. 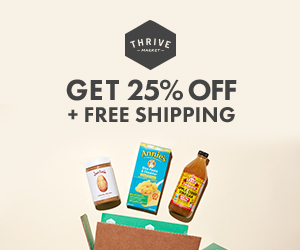 Recommended Coconut Aminos - Trader Joes, Thrive Market or Coconut Secret. I use Asian Gourmet Chinese Five Spice Powder and Sesame Oil.